TODAY'S BEHIND THE ART INTERVIEW IS WITH LAUREN COOPER FROM ETSY SHOP LOLOGARDEN. 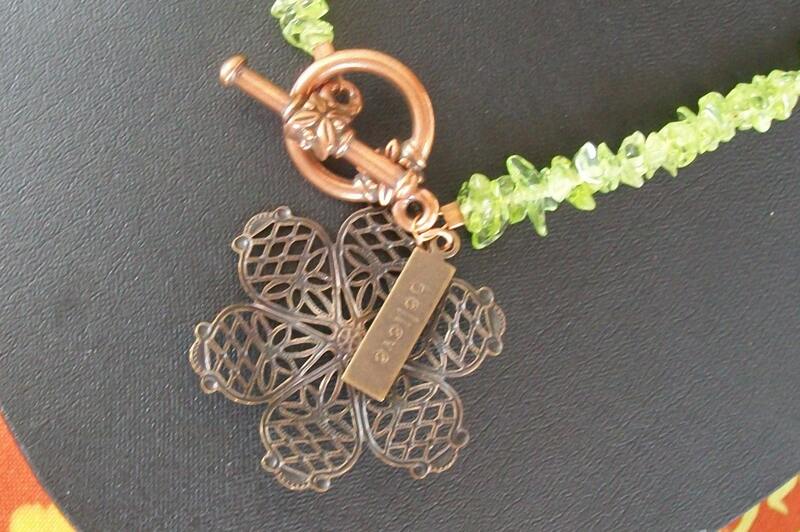 SHE HAS BEEN MAKING JEWELRY FOR 6 YEARS FROM HER HOME STUDIO IN GRAND HAVEN, MICHIGAN. SHE ALSO MAKES BEADED WINE STOPPERS AND UTENSIL SETS. THIS MONTH LOLOGARDEN IS HAVING A 50% OFF SALE WITH FREE SHIPPING. TELL US ABOUT YOUR ART. WHAT DO YOU MAKE AND HOW DID YOU COME TO YOUR CRAFT? I MAKE STERLING SILVER JEWELRY WITH GLASS BEADS AND GEMSTONES. I'M SELF TAUGHT AND MY WORK HAS BECOME MORE AND MORE SKILLED AS MY BUSINESS HAS GROWN. I STARTED MY CRAFT AFTER A LIFETIME OF CREATIVITY. I CHANNELED ALL MY ENERGY INTO THIS ONE MEDIUM AND HAVE HAD SO MUCH FUN WITH IT. I HAVE ALWAYS HAD A NEED TO BE WORKING ON A CREATIVE PROJECT. IT IS MY FOCUS. I'M INSPIRED BY THE BEAUTIFUL NATURE THAT SURROUNDS ME IN LAKESIDE WEST MICHIGAN. SOME OF MY ITEMS FEATURE RECYCLED LOCAL BEACH GLASS. I'M CURRENTLY CRAZY ABOUT WORKING WITH METALS AND HANDSTAMPING PENDANTS. WHAT ARE YOUR COALS FOR YOUR SHOP? I WOULD LOVE FOR MY SHOP TO GROW AND TO BE ABLE TO SHOWCASE MY ART TO AS MANY PEOPLE AS POSSIBLE. MY LOVE GOES INTO EVERYONE OF MY PIECES AND I WANT THE PEOPLE WHO PURCHASE THE ITEMS TO LOVE THEM JUST AS MUCH AS I DO. I'M A MOTHER OF ONE WITH ANOTHER ON THE WAY SO WE ARE ALWAYS PLAYING OUTSIDE, COLORING, ETC. I'M ALSO PASSIONATE ABOUT COOKING, HOME DECOR, FRIENDS, FAMILY AND CELEBRATING LIFE. I HAVE PRACTICED YOGA FOR 9 YEARS AND ENJOYING HIKING AND RUNNING. A FRIEND TURNED ME ON TO ETSY AND I LOVE IT. I LOVE THE COMMUNITY. I ALSO SELL AT ART SHOWS AND THE MUSKEGON MUSEUM OF ART GIFT SHOP. 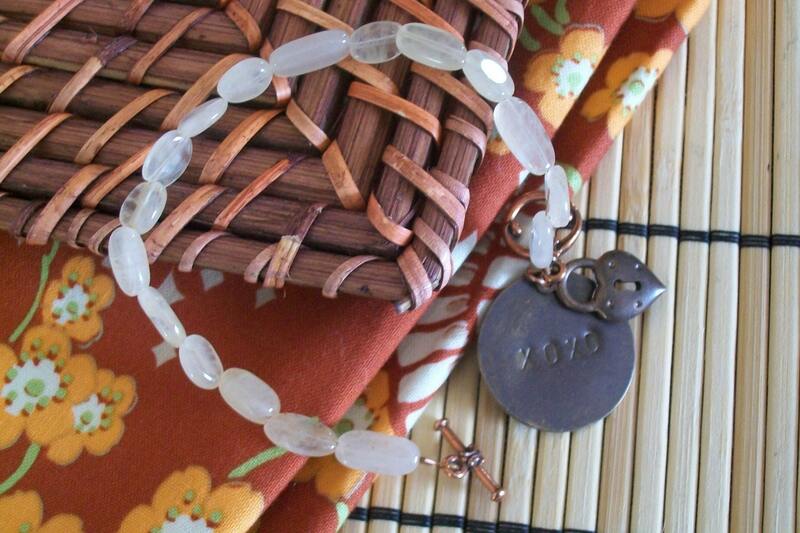 MY FAVORITE SHOP ITEM WOULD BE MY GEMSTONE BRACELETS WITH HANDSTAMPED PENDANTS. SO SIMPLE YET THEY MAKE A GREAT STATEMENT. WHAT IS THE MOST VALUABLE LESSON YOU HAVE LEARNED FROM YOUR ART AND BEING AN ETSY SELLER? TO ALWAYS IMPROVE YOUR ART AND YOURSELF. I'M AN HONEST AND WELL-ROUNDED PERSON WHO IS IN LOVE WITH ART AND ETSY. I WANT MY SHOP AND MY ITEMS TO REFLECT MYSELF. HOPE YOU ENJOYED GETTING TO KNOW ANOTHER GREAT ETSY ARTIST. 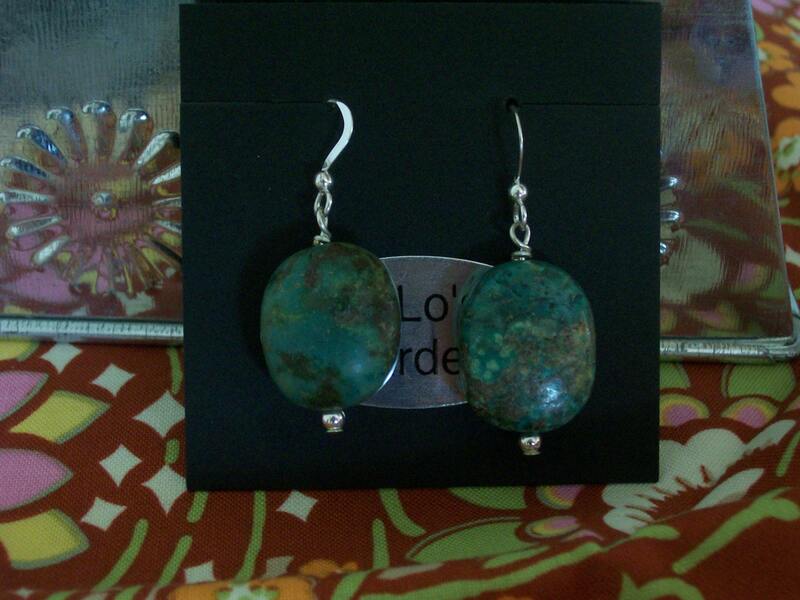 YOU CAN SEE MORE WORK FROM LOLOGARDEN IN HER ETSY SHOP. What an amazing shop!! Love the top picture. Super interview! This is my favorite way to meet etsy artisans and be introduced to their shop!